Fritz Leiber, Jr. Born Fritz Reuter Leiber, Jr. in Chicago, Illinois, on December 24, 1910, to Fritz Leiber, Sr. and Virginia Bronson Leiber, both Shakespearean actors. Toured with father’s repertory company in 1928 before entering the University of Chicago, from which he graduated in 1932; went on to study at General Theological Seminary in New York, and was briefly a candidate for ordination in the Episcopal Church. Toured intermittently with father’s company and appeared with him in films Camille (1936) and The Great Garrick (1937). Married Jonquil Stephens in 1936 and moved to Hollywood; they soon had a son. Corresponded with horror writer H. P. Lovecraft, who encouraged and influenced his literary development; wrote a supernatural novella, The Dealings of Daniel Kesserich (1936; published posthumously in 1997), and showed Lovecraft early stories. Returning to Chicago, took job as staff writer for Consolidated Book Publishing (1937–41), contributing to the Standard American Encyclopedia. His first publication as a professional writer, “Two Sought Adventure” (in John W. Campbell, Jr.’s Unknown in 1939), introduced popular characters Fafhrd and the Gray Mouser, developed with his friend Harry Fischer and modeled on their relationship; the story inaugurated a series he would continue for more than fifty years, helping to define the subgenre he labeled “Sword and Sorcery.” (Fafhrd and the Gray Mouser stories were later collected in Two Sought Adventure, 1957; Swords in the Mist, 1968; Swords Against Wizardry, 1968; The Swords of Lankhmar, 1968; Swords and Deviltry, 1970; Swords and Ice Magic, 1977; The Knight and Knave of Swords, 1988; and other volumes.) Worked as a drama and speech instructor at Occidental College in 1941, and during the war as an inspector at Douglas Aircraft. His first novel, Conjure Wife—about secret witchcraft on a college campus—appeared in Unknown in 1943 (but not as a book until 1952; it was filmed three times). 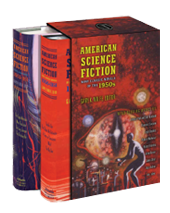 His first science fiction novel, Gather, Darkness!, was also serialized in 1943 (book version, 1950). From 1945 to 1956, he worked as an editor at Science Digest in Chicago. Published science fiction novels Destiny Times Three (in Astounding, 1945; as book, 1957); The Green Millennium (1953); and The Big Time (in Galaxy, 1958; as book, 1961), the last winning a Hugo Award and inaugurating his popular “Change War” series. Moved back to Los Angeles in 1958, and turned to writing full-time; published science fiction novels The Silver Eggheads (1961), The Wanderer (1964), and A Specter Is Haunting Texas (1969). Lived in San Francisco after the death of his wife in 1969; the city forms the setting of his fantasy novel Our Lady of Darkness (1977). In 1976, he received a World Fantasy Award for Life Achievement, and in 1981 a Grand Master Award from Science Fiction Writers of America. Married Margo Skinner in May 1992; died on September 5, 1992, in San Francisco, of an apparent stroke. 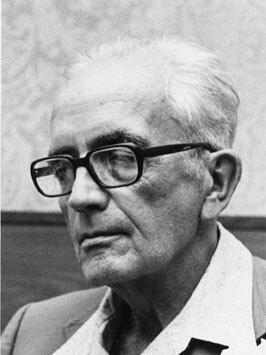 In 2001 he was inducted posthumously into the Science Fiction Hall of Fame. 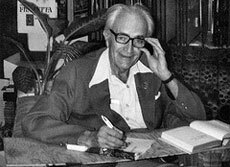 The Change War between Spiders and Snakes at the center of Fritz Leiber's The Big Time occupied his imagination so intensely that it spilled over into almost a dozen other works of fiction.